There was huge excitement in the global astronomical community this week, as scientists released the first genuine image of probably the most enigmatic object known to humanity: a black hole. The image is of a supermassive black hole at the centre of the Messier 87 galaxy. This galaxy is a brain-curdling 55 million light years from Earth. This means that the image released this week is of how the black hole appeared approximately 53 million years before anything we’d recognise as human walked the Earth. It’s a stunning breakthrough for science, and perhaps the final, great vindication of the legendary physicist Albert Einstein, whose equations predicted black holes back in 1915. This work was then built on by another towering mind of the 20th Century, who tragically died only a year too early to see the picture: Professor Stephen Hawking. That we have the image at all is thanks to the Event Horizon Telescope (EHT) project, a network of eight radio telescopes from Antarctica to Spain and Chile, which together had to process so much data to produce the image that it had to be shipped physically to the Massachusetts Institute of Technology using half a tonne of hard drives. It’s been a long journey from 1915 to today. In the meantime, black holes have become such a part of the popular imagination that, as France Córdova, director of the US National Science Foundation said, “it’s easy to forget that none of us has seen one…” Until now. Unless you’re a Doctor Who fan, that is. We know black holes of old. 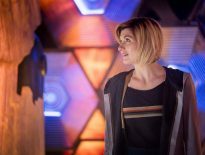 After all, they’re the heart of Time Lord power (the Eye of Harmony) and a portal through to the antimatter universe that was the final resting place of Omega (until he took an ill-fated jaunt to Amsterdam). As the Doctor told Rose, the Time Lords “practically invented black holes. 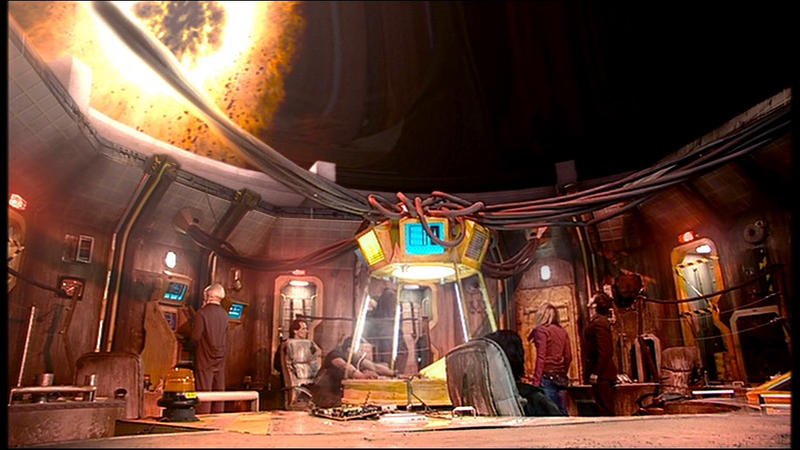 Well, in fact, they did.” And speaking of inventing black holes, we must give great credit to the visual effects work of The Mill during Series 2, back in 2006, when they designed K37 Gem 5 for The Impossible Planet and The Satan Pit. The similarity between their work and today’s image is striking. Left: the Messier 87 black hole, today. Right: K37 Gem 5, 13 years ago.